This is one of my handmade jewelry projects. Unfortunately I do not have much time to cover them all in my blog. 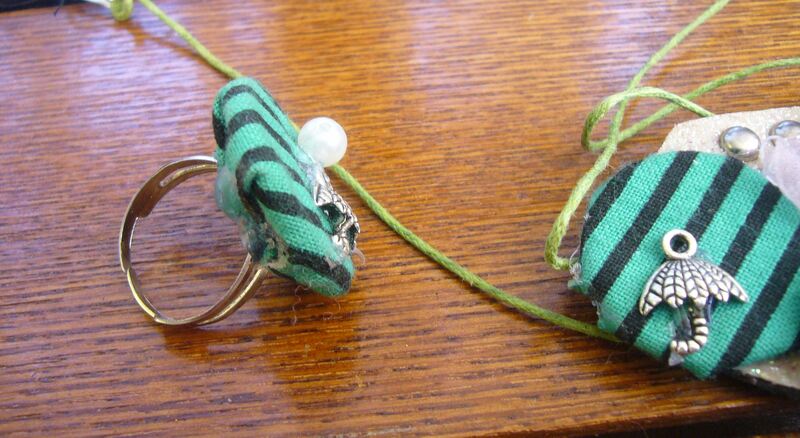 This fabric ring and pendent are the part of one of my refashion projects. I have bought a pair of huge and ugly green pants at a flea market. I looked exactly like Asterix in them. But I refashioned them into a stylish skirt and a handbag. I had some scrapes left, so I made this fabric jewelry set. This is my green fabric pendent. It is accompanied by the fabric ring. Here is my quick how to on this fabric jewelry set. I used coins for the fabric circle bases. I used hot glue gun for attaching the fabric to the coins. 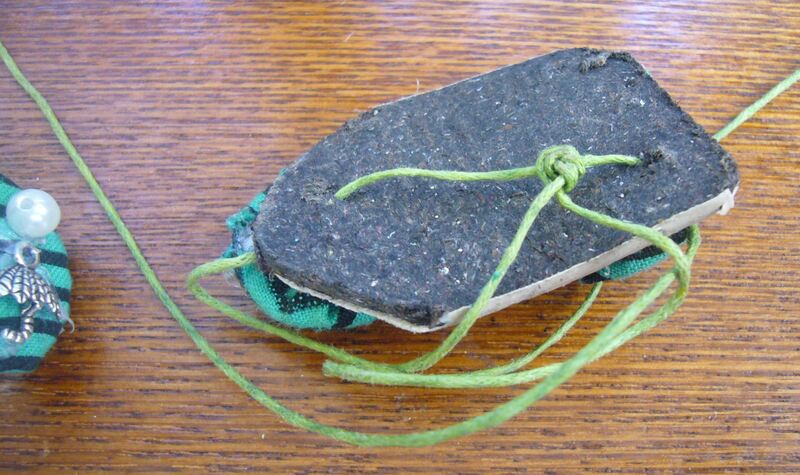 I have also used a piece of recycled belt as the base for the pendent. So, this is a go green jewelry project, as I have used only recycled or recycable materials for it. 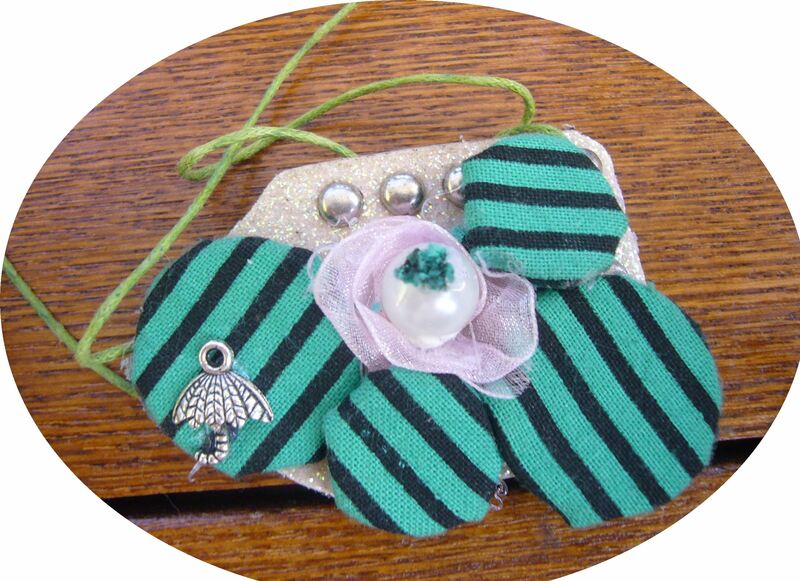 As you may see, I have used just tiny scrapes of fabric for this jewelry project. Still it does look good and I get many people asking me where I got this set. This entry was posted in Crafting Tutorials, Handmade jewelry and tagged coin jewelry, crafting, DIY, fabric jewelry how to, fabric jewelry set, handmade jewelry, jewelry diy, jewelry from scrapes, refashion. Bookmark the permalink.